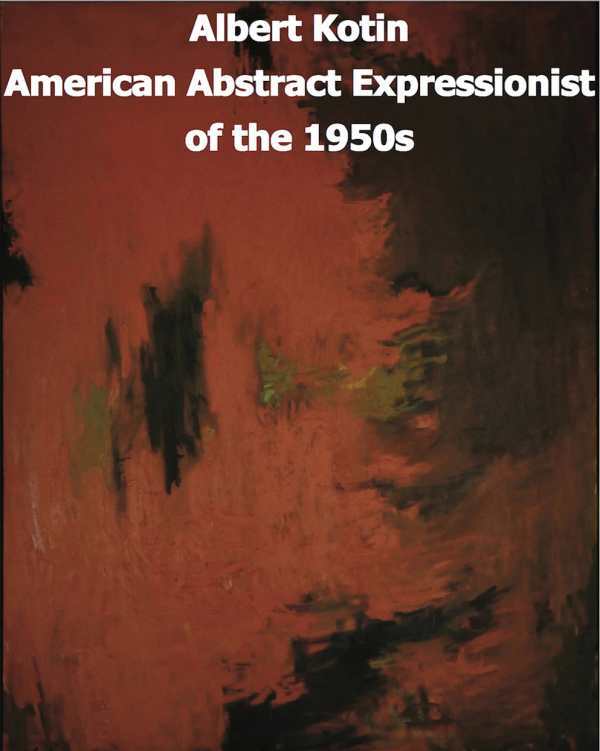 This book does much to elevate Albert Kotin into his rightful place alongside the other greats of abstract expressionism. Marika Herskovic has gifted the art world with a well-researched monograph on Albert Kotin, a Russian-born American artist who was one of the first generation of abstract expressionists working and exhibiting in postwar New York City. Albert Kotin: American Abstract Expressionist of the 1950s illuminates its subject’s prolific artistic output, and details his relationships with other New York School artists and writers during this exciting period. The author has written other books on the New York School art scene under this imprint, and she draws from a rich range of original materials to document Kotin’s education and study with Hans Hofmann, his World War II military service as a cartography instructor, and his later teaching career, exhibitions, and personal life. Reproductions of art gallery posters, photographs, invitations, and other ephemera offer primary evidence of the artist’s preeminence in the mid-century art world. Above all, Herskovic lets Kotin’s artwork do the talking. The book includes 131 color plates—high-quality reproductions on glossy stock—of Kotin’s paintings, drawings, and murals. All are sensitively arranged on the page with generous margins. Information is included about where the works were exhibited and where they reside at present, facts collected in consultation with Kotin’s estate, gallery owners, private collectors, and museums. Kotin’s early work reflects echoes of Picasso-esque cubism, the heroic figures and themes of the Works Progress Administration (WPA), and the muddy, subdued palette of other Great Depression artists, but then blooms with more abstract compositions that explore color and dynamism as the twentieth century progresses. While there are bigger artistic names identified as American expressionists or “action painters,” including Jackson Pollock, the de Koonings, and Robert Motherwell, Herskovic notes that Kotin was exhibited alongside all of them at the major modern New York galleries. She specifically points out that he was represented in the famous 9th Street Show in 1951 that “launched” the abstract expressionist movement. The show was continued as an annual invitational exhibition by the Stable Gallery from 1953 to 1957, and Kotin’s work appeared in all of those shows as well. Kotin was not only a visual artist, but also a poet, and his later works in the 1960s contain his verse and increasingly symbolic use of letters and words. The book is organized chronologically, so it is easy to see how his artistic style changed through the years and how various experimentations with form and color evolved. While many abstract expressionists are known for their large-scale canvasses, Kotin played with more diminutive scale. The book records some of his “action paintings in a small dimension,” some as small as three by four inches. Herskovic’s survey of Kotin’s oeuvre is not only a well-documented work of scholarship, but it also heralds the importance of this previously fairly unknown modern American artist. It includes an unearthed 1964 New York Herald-Tribune review of a one-man exhibition of Kotin’s work at the Byron Gallery: “Though neglected, Kotin’s statement has the unmistakable ring of truth and conviction.” This book does much to elevate the artist into his rightful place alongside the other greats of abstract expressionism.